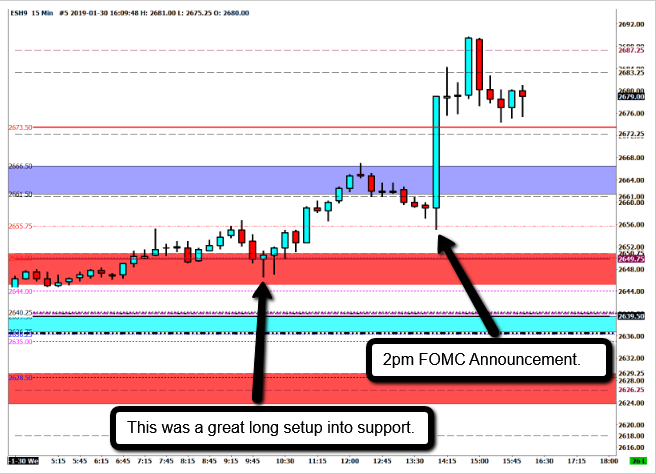 Until FOMC Chairman Powell decided to deliver a delayed holiday gift to the stock market at 2pm... and violate long standing principles of the central bank. In his prepared statement, Powell referenced market volatility more than once as part of what the Committee considered in keeping rates at the same level. For years the committee has at least claimed that market volatility had no place in their deliberations. Guess that's no longer the case. And maybe Powell was also worried that 45 might brew up a fancy tweet storm in his honor overnight if the outcome was anything other than "dovish."